If you’re in need of a fresh sound, look no further. This Baltimore-based synthpop, new wave revival trio is really just…spectacular. It’s frontman Samuel T. Herring’s vocals that get me. At times growling like Tom Waits, at others crooning like Matt Johnson he forces you to sit up and listen. It takes a few spins to get acclimated to the album, the tempo, the sound, the voice. But once you do, it’s so damn compelling you won’t be able to stop. Their debut LP “In Evening Air” will be released on Thrill Jockey May 4 and the band will play San Francisco’s El Rio on May 24. 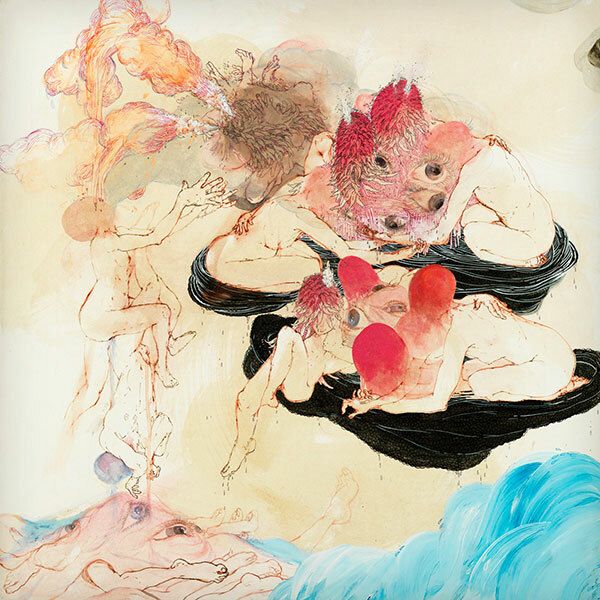 This entry was posted in Album of the Week and tagged as i fall, future islands, in evening air. Bookmark the permalink. Wow… I really like this. Reminds me of Kyle Andrews out of Nashville. Really synthy and experimental while maintaining a standard song structure. More excited about the remixes that will come out of this as the whole time listening all I wanted was MORE DRUMS – not cowbell. This is great. “Tin Man” is pretty awesome. The steel drum sound is a great contrast against Herring’s voice. I’m definitely interested in what the EP is going to sound like.